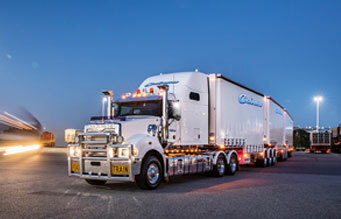 If you’ve got to manage premium interstate line-haul, AB triple road trains, low-loader heavy-haulage or anything in between, you want a Super-Liner. 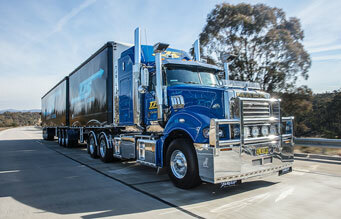 Mack Trucks has been researching our most popular Super-Liner applications - creating our built for purpose range. We’ve brought all our experience to bear, to offer models that have the ideal geometry and drive-line components for specific applications, straight off the assembly line. Speak to your local dealer on the below optimised Super-Liner specs. When you’ve had a long day on the road, we think you should have a big space to relax in. The Mack 60-inch sleeper brings together comfort and convenience like never before. The interior has been designed to maximise space and minimise effort. From your extra long, almost 1-metre wide bunk, drink holders, power outlets, A/C controls and your digital clock all fall easily to hand. The Mack 60-inch sleeper – everything you need to feel at home on the open road. 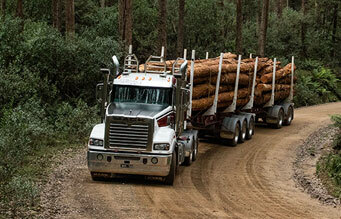 With the tough terrain of Moroka why does Boss Logging believe their Super-Liners are the right truck for the job?